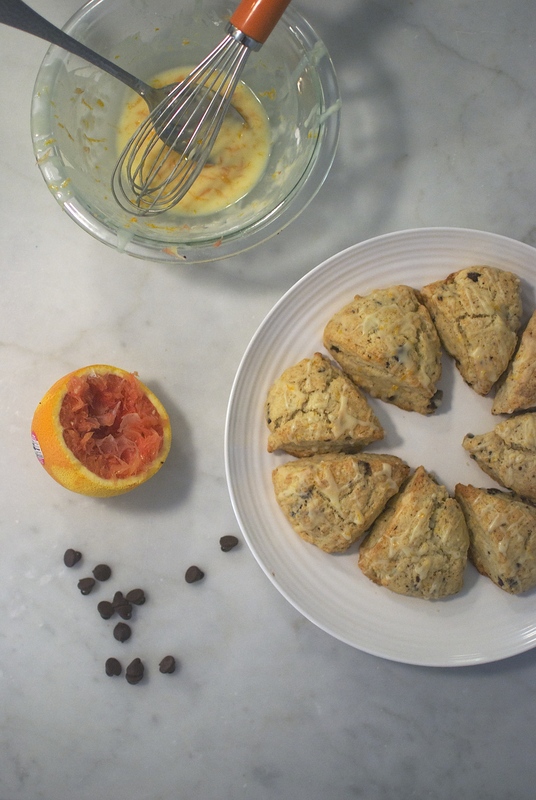 This is the fourth scone recipe I’ve posted. I know. But this one turned out so, so good. I made a variation of my basic cream scones (the recipe’s from Smitten Kitchen), this time adding semisweet chocolate chunks and lots of grated orange zest, finishing them off with a drizzle of orange glaze. The results were insanely yummy, to say the least. Here’s how I made ’em! 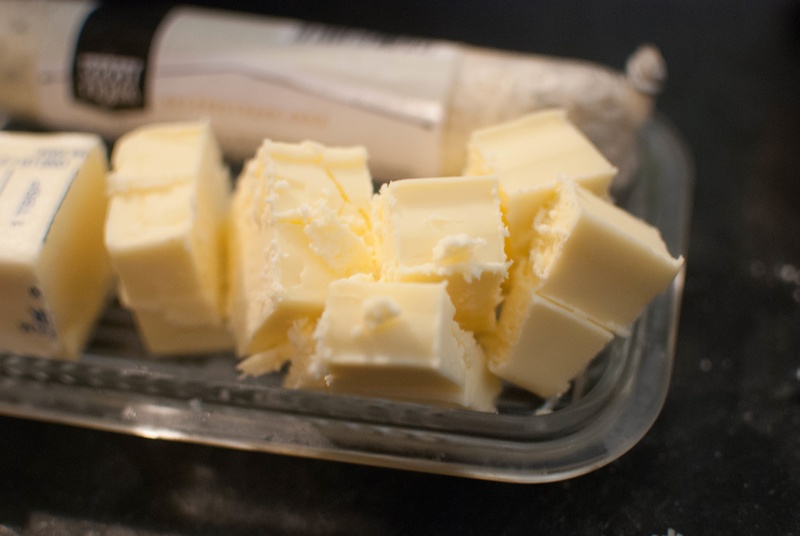 Cut up some COLD butter into cubes (mine were about 1/4 inch), and throw it in with the flour mixture. 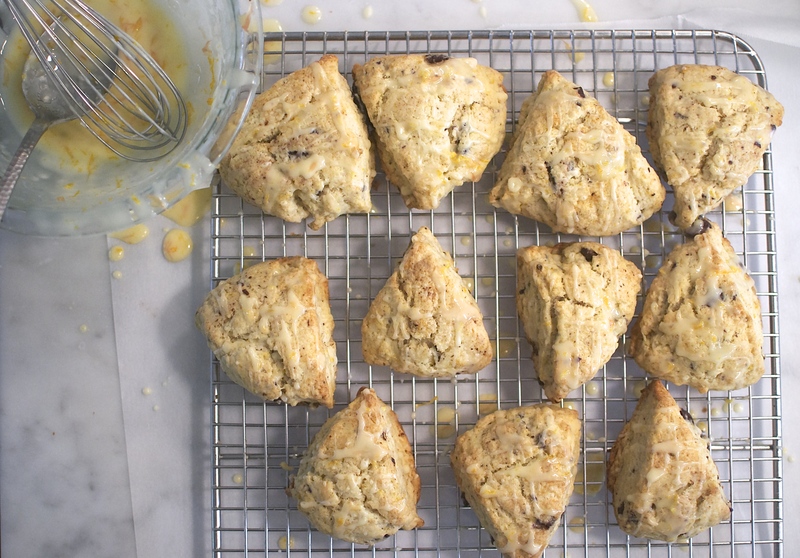 You can also cut up your butter ahead of time and pop it back in the fridge until you’re ready to make the scones, to ensure that the cubes are chilled. 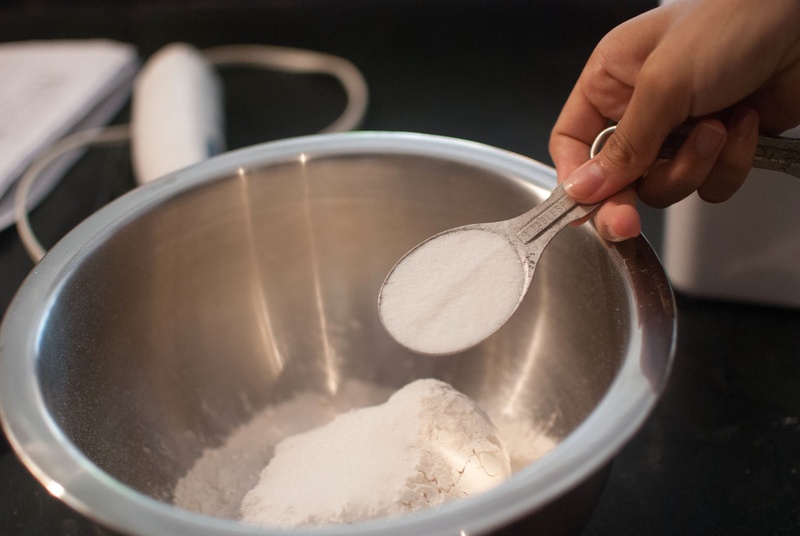 If you’re using two knives, a pastry cutter (which is what I used), or your fingertips, cut the butter into the flour quickly until your mixture resembles coarse crumbs, with some slightly bigger chunks of butter. 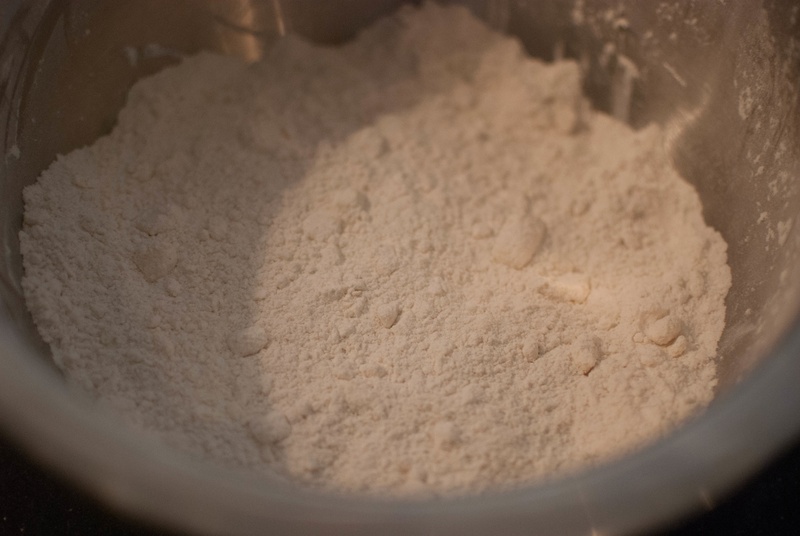 If using a food processor, pulse the mixture 12 times, or until it looks like this. Here’s where things get funky. And by funky I mean scrumptious. Chop up a good amount of semisweet or bittersweet chocolate (mine was 62%) and add it in, along with about a tablespoon or so of orange zest. Mix or pulse the mixture one or two more times, just to get everything combined. 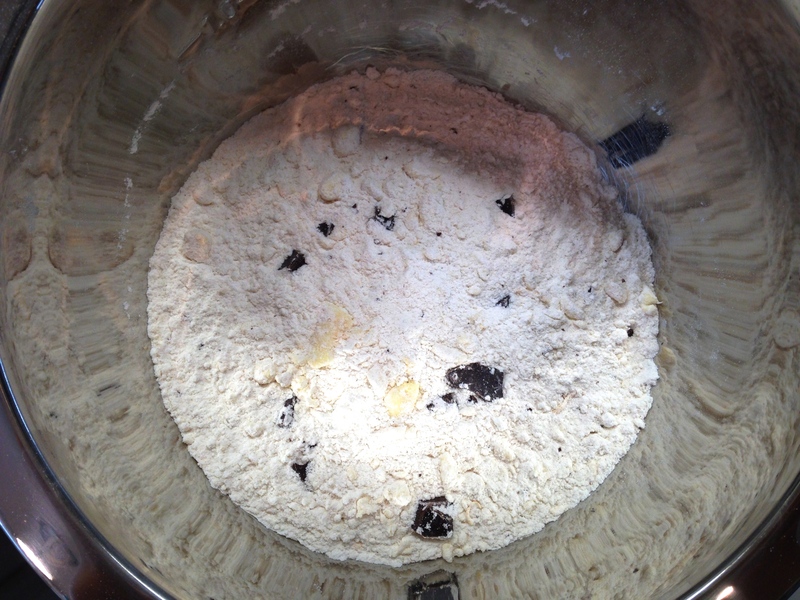 Now drizzle in some heavy cream and stir until it just forms into a dough (you don’t want to use a food processor for this). Now, how you cut this thing is up to you. 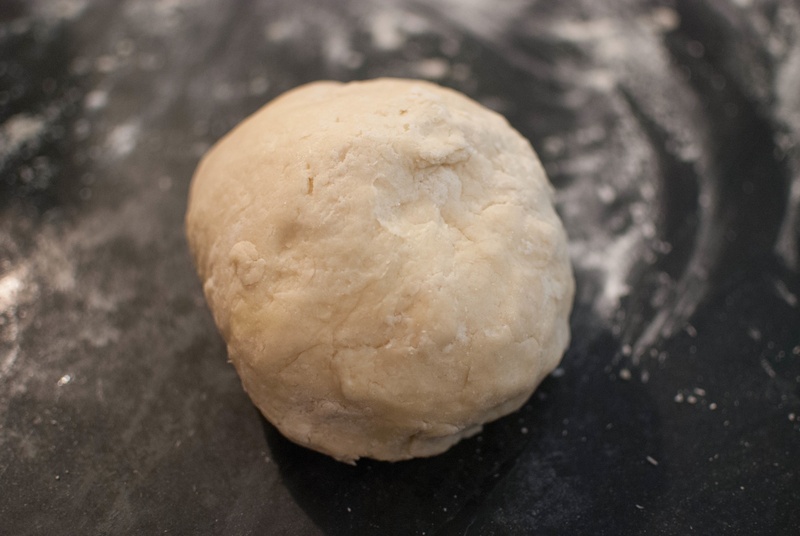 You can roll it out to 3/4 of an inch and use biscuit cutters, or you can press it into a circle and cut 8 wedges. Or you can divide it in half, press each half into a circle, and cut 6 wedges in each, resulting in 12 smaller scones. Or you can press it into a circle and bake the whole thing as one scone! Just kidding. Please don’t do that. Anywho, after you cut the dough, lay the scones out on a parchment lined baking sheet, leaving about an inch and a half between them, and brush the tops with heavy cream. Bake these for 12-15 minutes, or until lightly browned. Cool on wire racks. 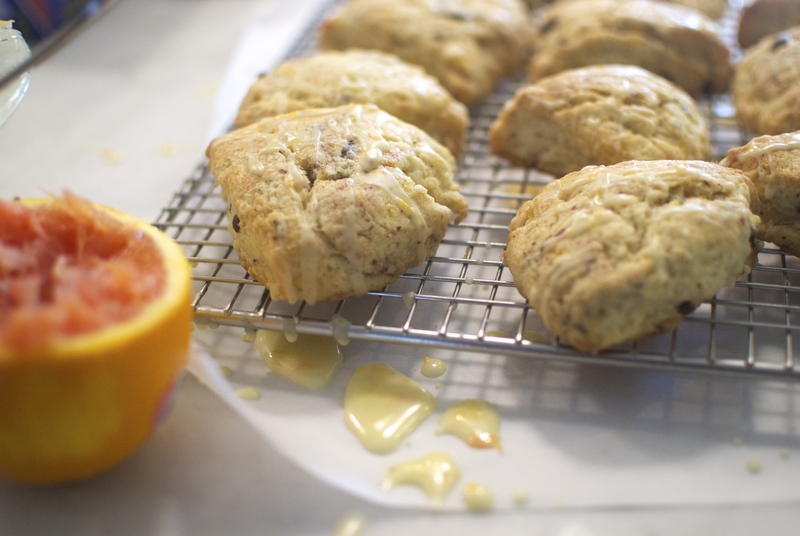 While the scones are baking and cooling, go ahead and make the glaze. Start with one cup of confectioner’s sugar and about 1/2 teaspoon of orange zest, and squeeze in some orange juice. 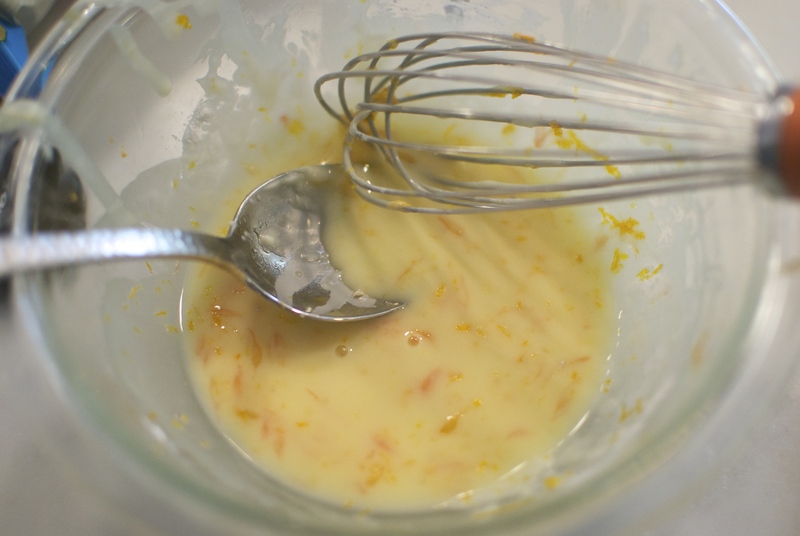 Give it a whisk and keep adding in more juice until you get the consistency you want. I like my glaze thick but still drizzle/pourable. When the scones are completely cool (or almost, if you’re impatient like me), take a spoon or a whisk and drizzle on the glaze. You could also dunk the scones in the glaze, but I thought it might be a little on the sweet side for my taste. Now take a step back, occupy yourself, and let the glaze set up. Luckily, this shouldn’t take too long. Now you can load ’em onto a plate and serve them up! I also made some plain chocolate chip scones, for my crazy brother who claims he doesn’t like chocolate orange. 3. 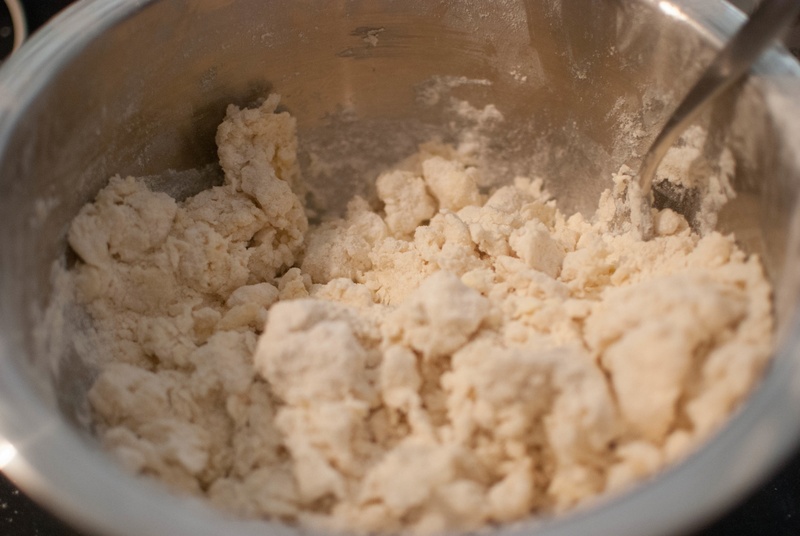 If using a pastry cutter, two knives, or your fingertips, cut butter in quickly until mixture resembles coarse crumbs with some slightly bigger chunks of butter. 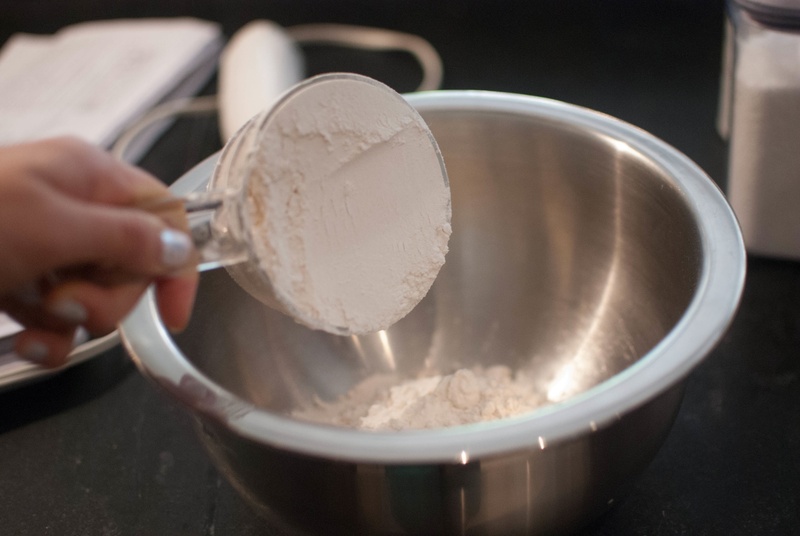 If using a food processor, pulse 12 times. 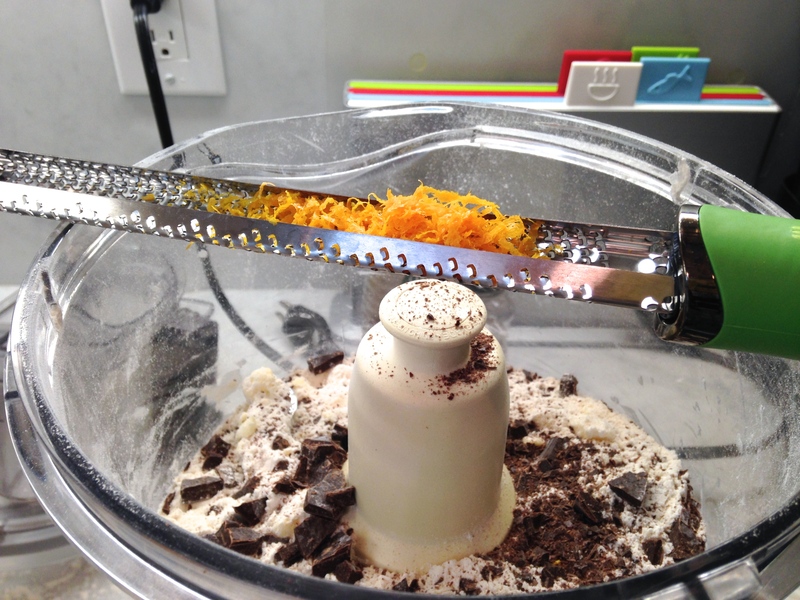 Add in chocolate and orange zest, mixing or pulsing to combine. 6. 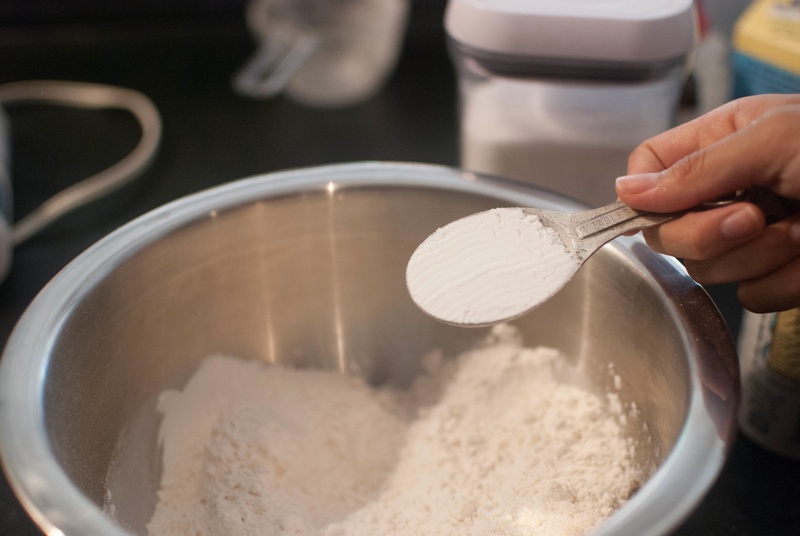 Either pat the dough down into a circle and cut 8 wedges, press it into an 8-inch pan and cut wedges, or roll it out to 3/4 inch thick and cut using a biscuit cutter. (I actually divided it in half and made two circles, cutting each into 6 wedges). Brush tops with heavy cream. 7. Bake for around 12-15 minutes, or until the tops are light brown. Let cool completely on wire rack. 8. 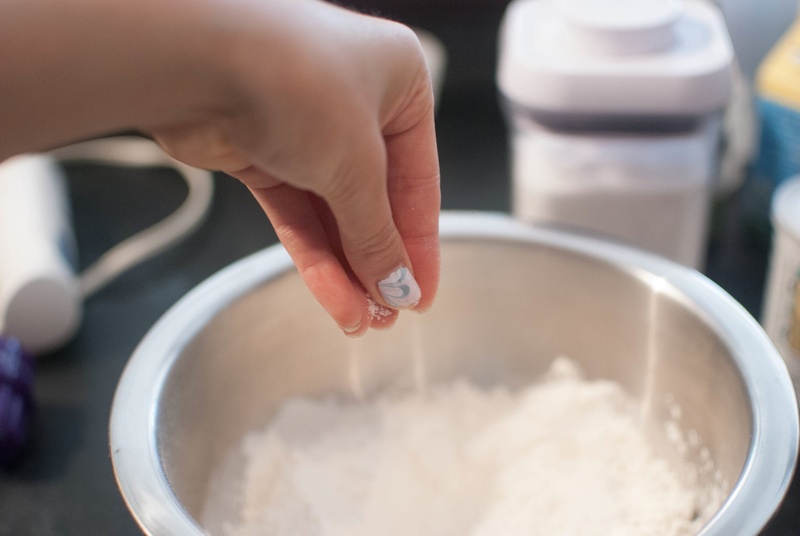 For the glaze, combine confectioner’s sugar, zest, and squeeze in some juice. 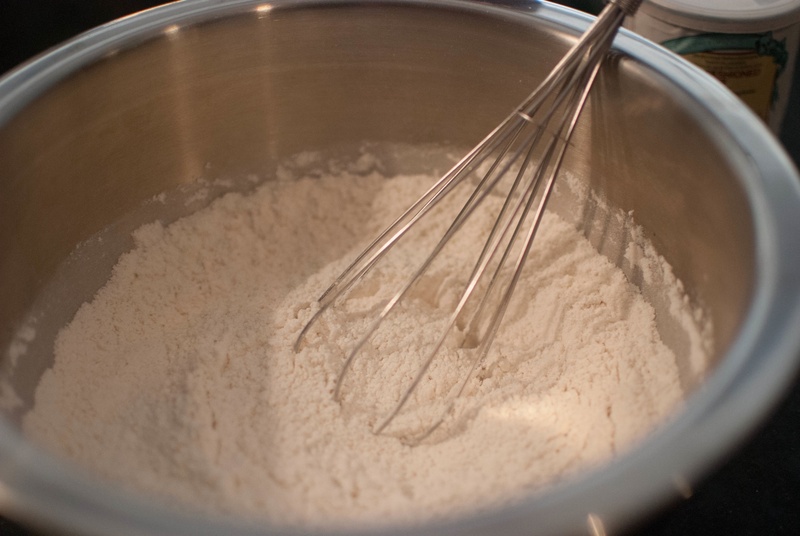 Whisk until smooth, and add more juice if necessary. 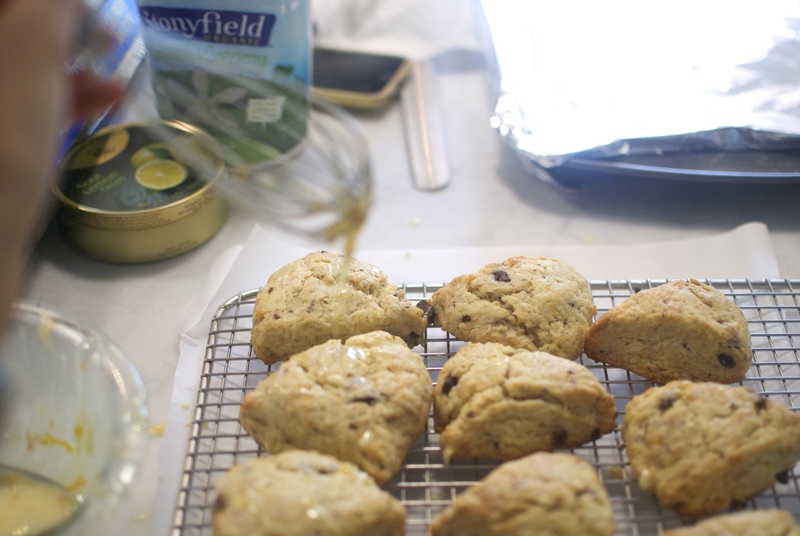 Drizzle over cooled scones and let the glaze set before digging in. Please try this recipe. For me. Happy nibbling! 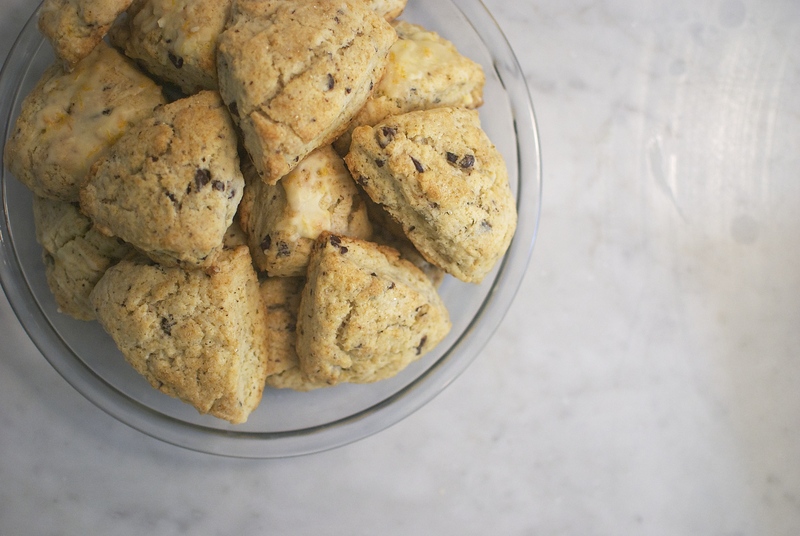 Had these warm out of the oven and they are seriously one of the best scones I have ever eaten. A drizzle of glaze is plenty. Adds just the right touch of sweetness. Yum.